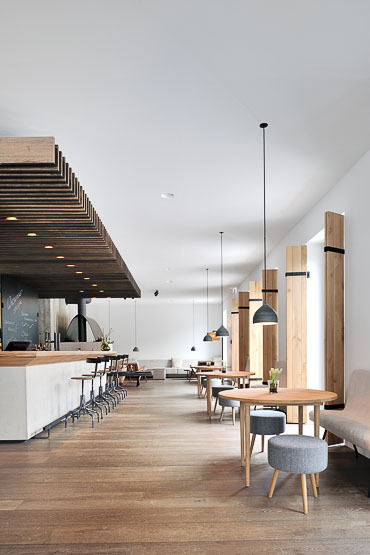 The story: What was once a family-run guesthouse hidden in a simple building has three years ago been transformed into one of the most talked about design hotels in the Alps. Standing in front of Hotel Wiesergut it seems almost inconceivable that a 14th century building is hidden inside the tightly modern architecture. 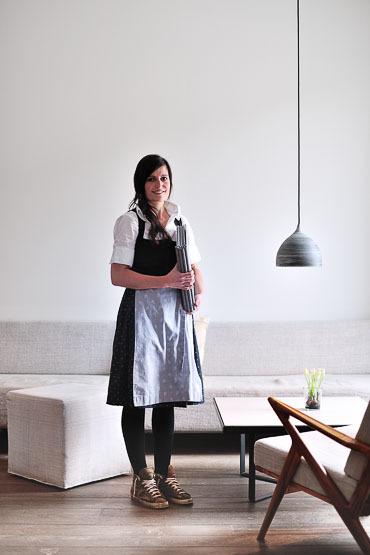 It’s also hard to believe that the stylish owners, Martina and Sepp Kröll, were once farmers, and actually still are. Sepp still has his cows alongside the alm high up on the mountain. This forty-something couple don’t look like archetypal Austrian peasants in their stylish outfits, a mix of Austrian tradition and contemporary fashion. 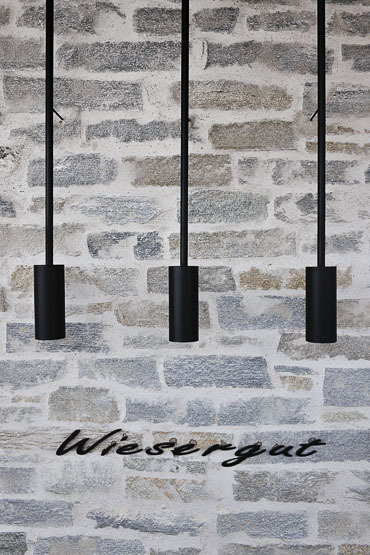 A couple of years ago, Sepp thought it was about time the old family guesthouse his grandmother Gertrude started many years ago was transformed into something completely new and until now unseen in Austria. 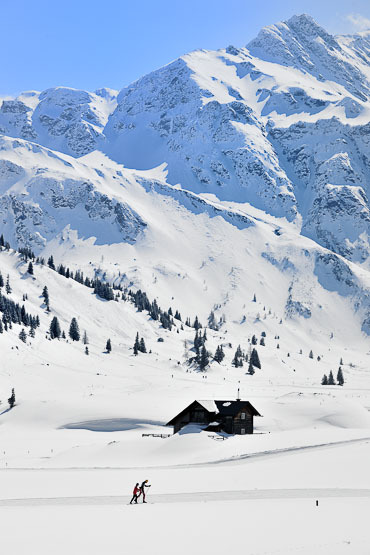 The location: In Saalbach-Hinterlemm, two valleys come together at an altitude of 1,061 metres. 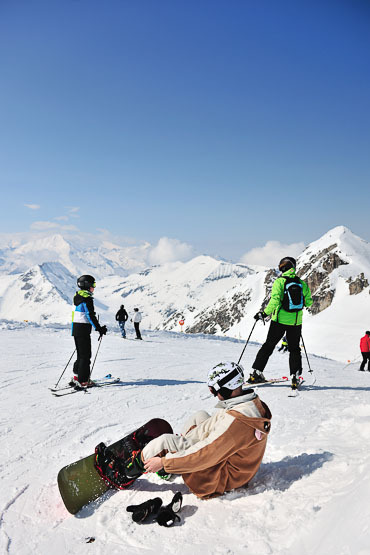 In winter there is of course skiing. In the summer, this is walking and mountain biking paradise. 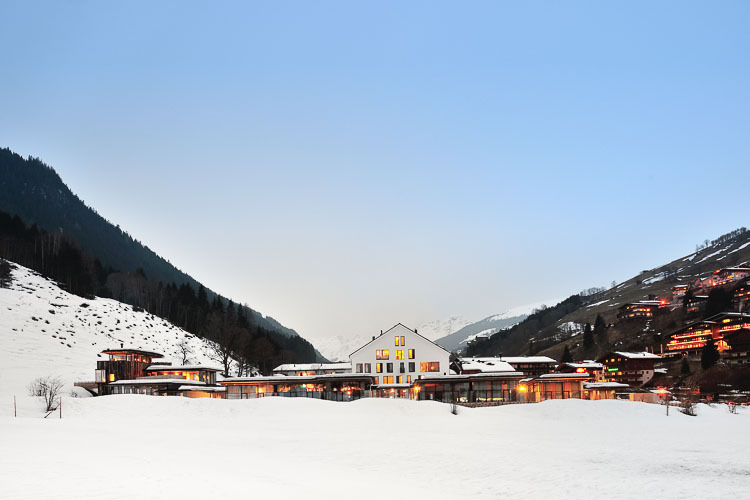 Hotel Wiesergut lies at the foot of the Zwölfkogler lift station and ski slopes, perfect for those loving direct ski-in/ski-out access. The Design: The Krölls commissioned Austrian architect Monika Gogl from Gogl & Partner to convert the old structure into something pure, new and surprising. What is most striking is the attention to detail: from the enormous custom-made steel door and window frames to the warm cosiness created by using lots of indirect lighting, wood and natural fabrics. Much of the furniture and lighting were tailor made for the hotel. 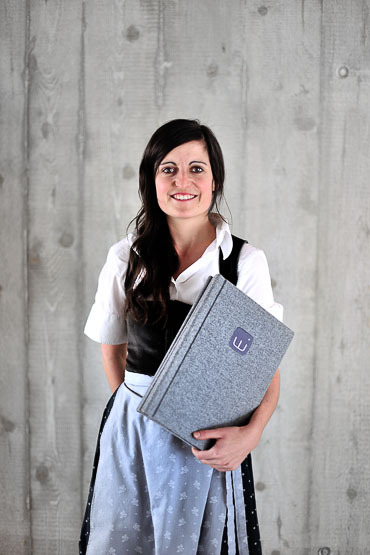 The brief: create a real design hotel albeit one that does not feel cold but radiates organic warmth. Sepp Kröll wanted to use only natural materials. Timeless and indestructible. Felt, linen, concrete, wood, granite, steel… The passages from one building to the next are made of metres-high insulated glass, the stainless steel swimming pool overlooks the ski slopes, and the suites on the ground floor, with their own fireplaces and hot tubs, are the kind you almost never want to leave. 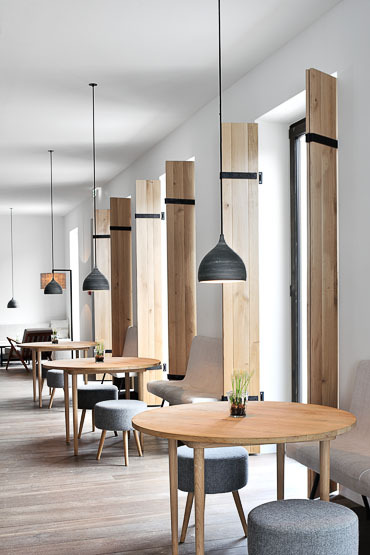 For who: Hotel Wiesergut appeals to an architecture and design-minded public. However, those afraid of that all too often arrogant “design hotel” atmosphere, fear not. The service is warm and easy-going. The general mood is relaxed, from the immaculate breakfast with local cheeses, charcuterie, and freshly baked bread (by Sepp’s mother in a traditional oven) to evenings in the bar or in the old-fashioned stubbe where both innovative and more traditional dishes are served. 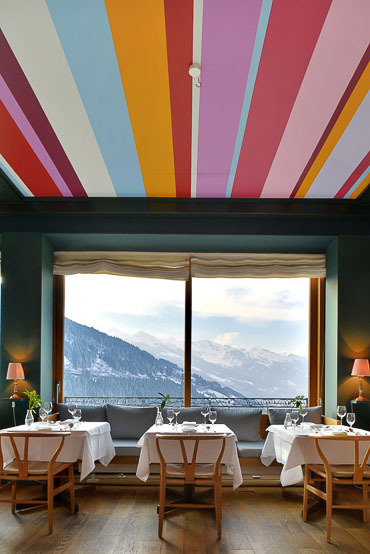 Via Culinaria: Sepp and his wife also own the Wieseralm restaurant and bar alongside the Reiterkogel ski slope. 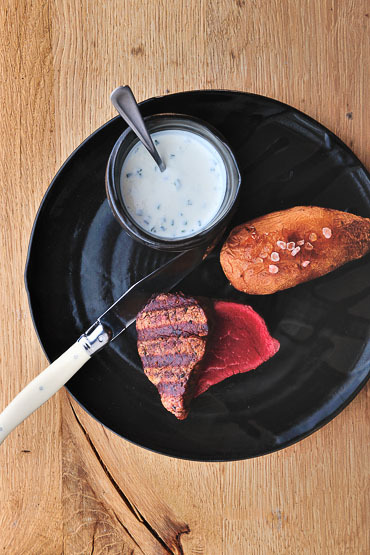 In a relaxed ambiance you can sample “hausmännische Kost”: pleasant homely dishes, beautifully presented. The allure: We are a big fan of the private hot tubs on the outside terrace of the suites. 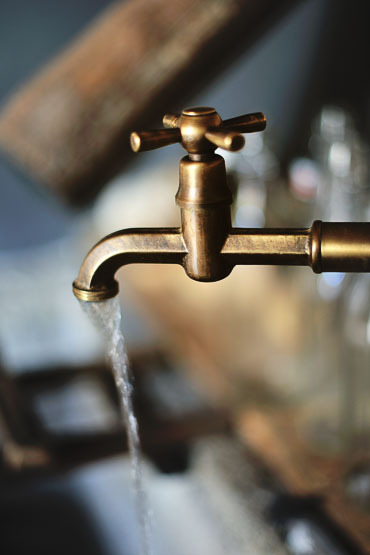 They are custom-made in stainless steel and filled with natural spring water. It’s yet another fine example of the rigorous eye for detail in this design hotel, and without compromising on service or comfort. The story: Several years ago, an old spa hotel dating from 1924 was converted into one of the cosiest and most unique family hotels in the Alps. Famous names once stayed here: Thomas Mann, Lady Churchill, the Shah of Iran… nowadays it is the graceful and ever-present Evelyn Ikrath who looks after her international clientèle with unending gentilesse. 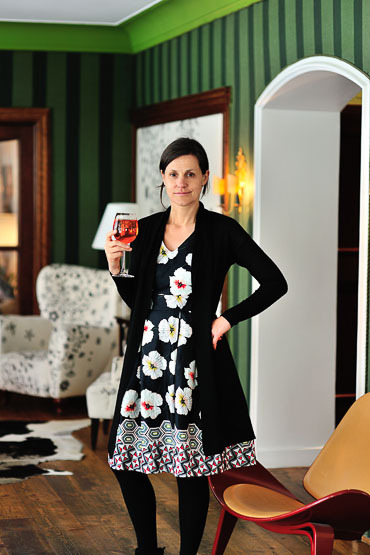 Evelyn has selected a décor boasting a mixture of retro chic and 1920s glamour with fresh modern accents. 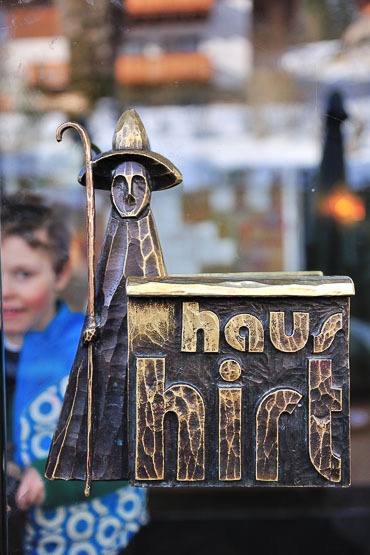 Haus Hirt is not a traditional family hotel, you know the kind that is best avoided by couples. Evelyn’s concept works: it’s a place where young families feel at home, but where other guests like young couples or even grannies can relax too. There are few family hotels in the Alps that manage to combine such a perfect sense of warmth and cosiness with a dash of eccentricity. 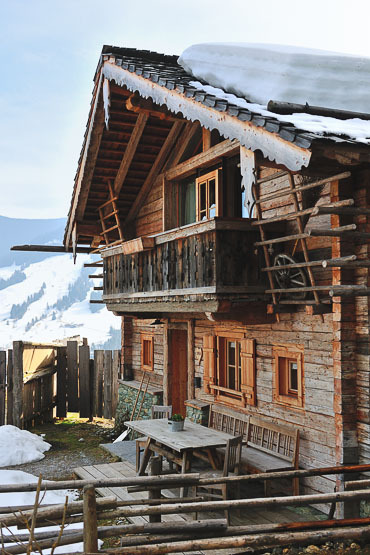 The location: The Gastein valley lies a few feet away from the terrace of Haus Hirt. Towering mountains encircle the tranquil, rural valley while a ski slope or winter sport resort lies behind nearly every peak. Bad Gastein is a compact town in Belle Époque style best known for its hot springs, gigantic waterfalls and numerous spa hotels. 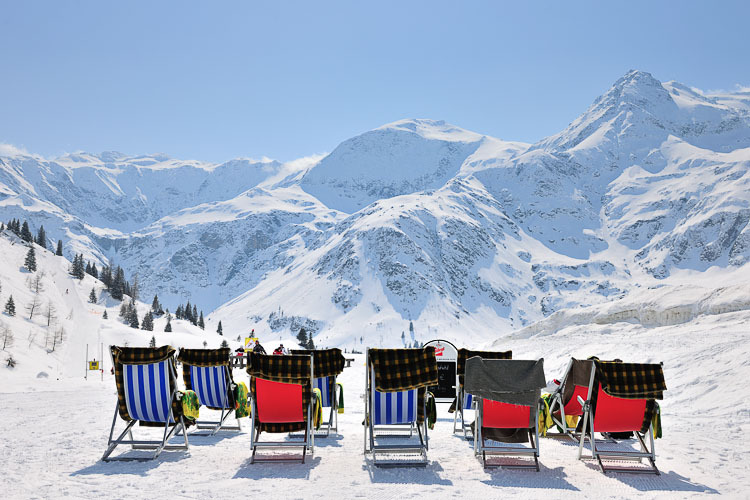 Besides boasting more than 220 kilometres of ski slopes, Gastein is famous for cross-country skiing or langlaufen and in the summer for hiking in the Hohe Tauern National Park. 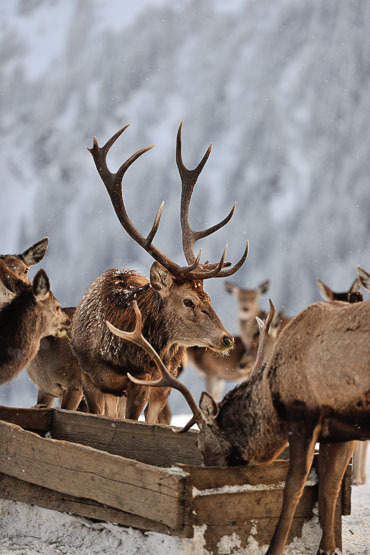 We loved the outing with Haus Hirt into the mountains to feed the deer. Hundreds of wild bambi, big and small, came surprisingly close to us during an almost zen-like feeding session. It took the organiser almost 20 years before these deer became less shy and acquainted to people. 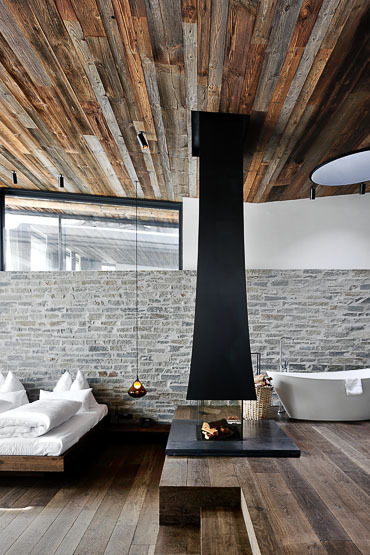 The design: Haus Hirt Hotel & Aveda Spa was built in the last century as an imposing and elegant Alpine lodge. It served for many years as one of many “spa” hotels until it was assigned its present role as an intimate “privat haus” focusing more on enjoyment and relaxation. Throughout the hotel you find elements of the arts and crafts movement in symbiosis with specially commissioned modern artworks. 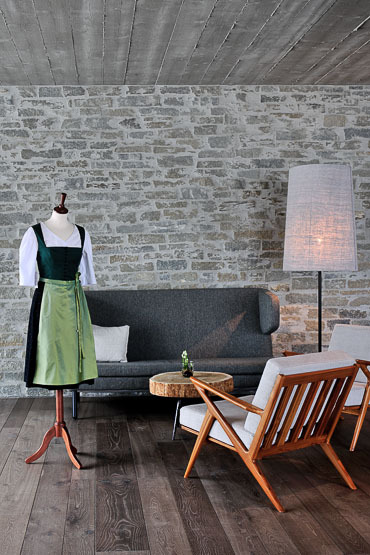 For who: Haus Hirt is a meeting place for likeminded people with the same tastes and life philosophy. It doesn’t matter whether it’s the children or young parents who get to know each other during their stay. Even grandparents are in their element. The only risk is that after staying here, you are guaranteed to want to return. Be warned, the hotel is often fully booked in winter. Via Culinaria: You eat well in Haus Hirt thanks to full board, but for those who want to venture out to taste or drink something local, then the Alpine restaurant Valeriehaus is a must. 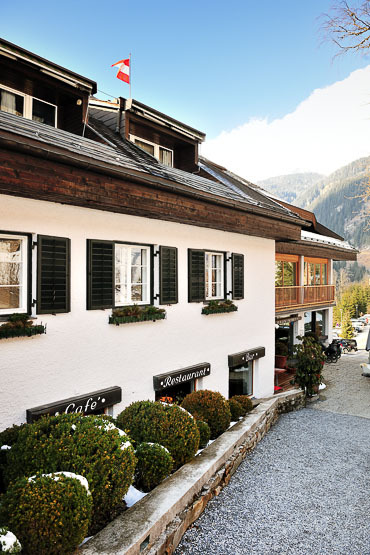 This mountain inn opened in 1889 and has a beautiful, sunny terrace offering views over the langlauf slopes of Sportgastein. 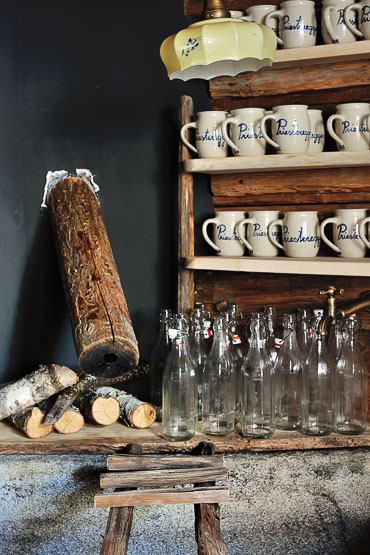 The allure: We love the quaint atmosphere! Everyone feels at home in Haus Hirt, especially in the evenings when the children are asleep and parents can sit in the cosy bar to enjoy a good glass of Austrian wine or a Spritz. Evelyn even consulted a DJ friend in Vienna on the choice of music played during the day and evening. Everything, down to the tiniest detail, is well thought out. The story: Bergdorf Priesteregg is the charming concept of a couple of young ex-farmers who wanted to do something different with their exceptional piece of land at an altitude of 1,100 metres. 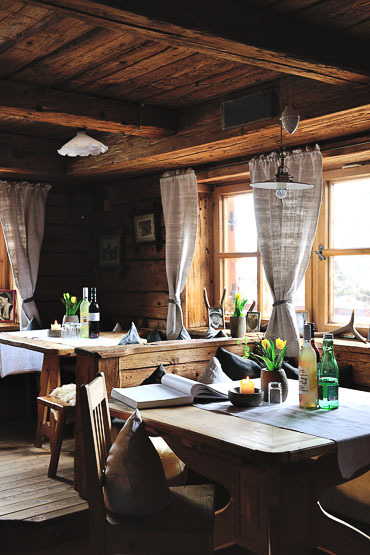 It all began with a small, cosy restaurant in a wooden chalet. You know, the sort of mountain eatery where you enjoy steaming plates of hearty food while it’s snowing and freezing cold outside. 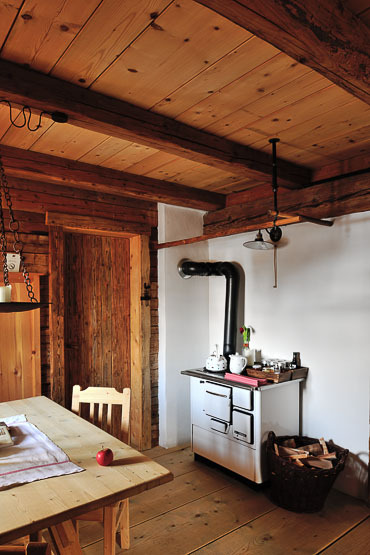 The owners Renate and Huwi Oberlader were successful with their stubbe and quickly noticed that their (often) international clientèle also wanted to stay overnight on their mountain. On a visit to the Maldives the couple discovered the concept of compact, individual luxury bungalows. Instead of the azure blue waters, you’ll find here mesmerising views towards the Leoganger Steinbergen mountain range. Bergdorf Priesteregg is a fairytale mountain village with individual wooden chalets offering much more space and privacy than an ordinary hotel room. A generous, home-made and organic breakfast is brought to your chalet, served whenever you want and set up while you are still sound asleep in the next door bed room. 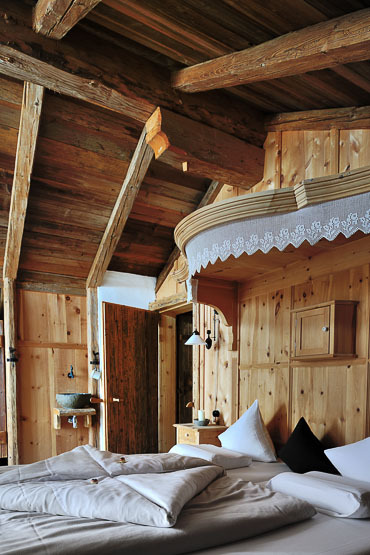 The deep sleep comes from the Austrian pine interior, or who knows, from the apres-dinner schnapps the night before! After breakfast you can have a massage in your room or hop in the open-air baths hidden in the woods and with views over the valley. It would be a shame not to use your own private wooden sauna and steaming hot tub on your terrace! 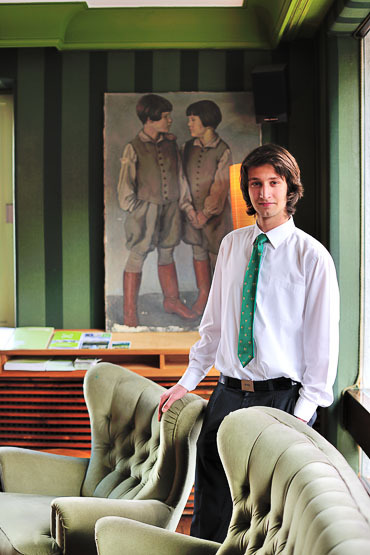 Huwi explains the couple’s concept is so successful he has almost 100% occupancy since Day 1. They’ve even developed a special iPhone app so future or returning guests can see which days of the year are still available. 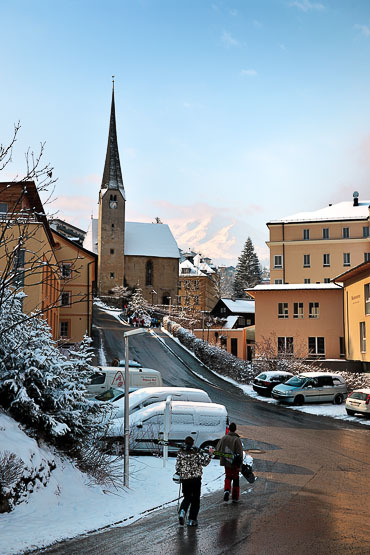 The location: Leogang in the Saalfelden-Leogang region is a quiet, unspoilt village surrounded by lots of skiing and mountaineering possibilities. The hotel offers a free shuttle to the local ski station where you can store ski equipment for free in a locked room and dry your ski boots. 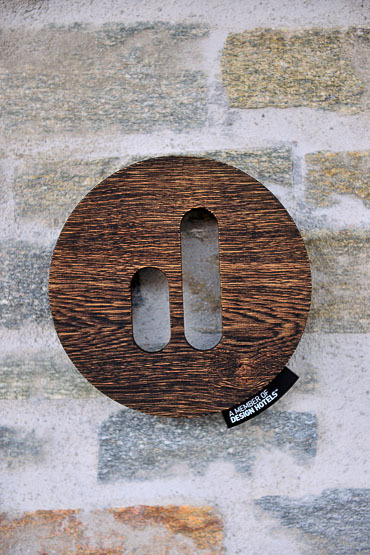 The design: Bergdorf Priesteregg looks like a small and quiet Alpine hamlet. 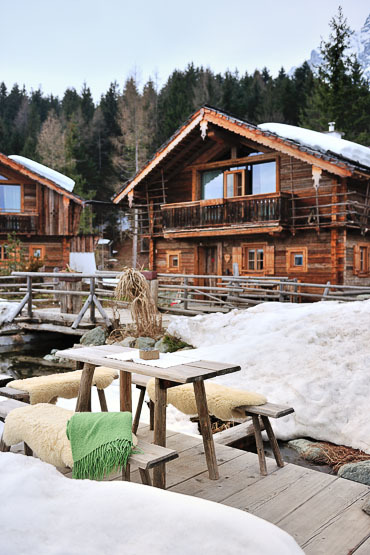 The luxurious chalets surround a central point with a pond, benches and sheepskin loungers. Once a week, bread is baked in the special outdoor oven and given as a present to the guests. 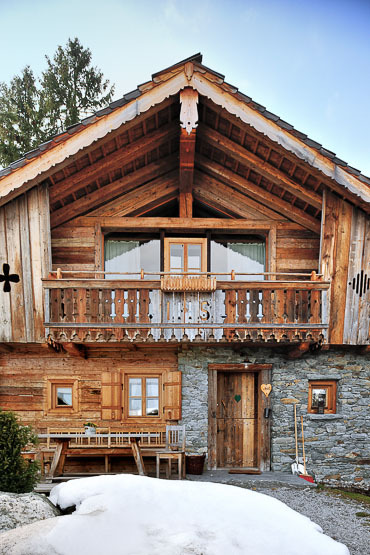 The Dorpf has a total of 16 chalets, some with two rooms, others more luxurious such as the Luis Trenker and Willy Bogner chalets, with own heated swimming pool. For who: If you’re fed up with regular hotels, this is the ideal place. You have more privacy and space, and you get the feeling that you are living in your own luxury chalet on a mountain, without sacrificing on that good old fashion Austrian hospitality. 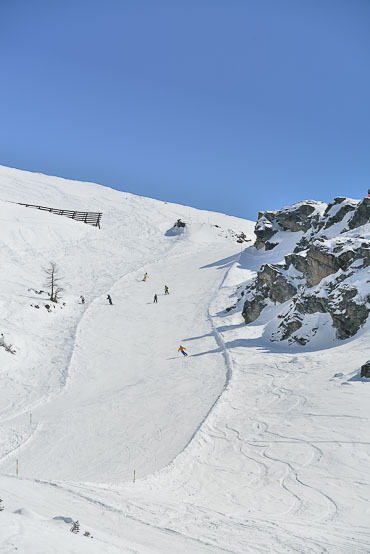 It’s clear: Couples like coming here, but families love the larger chalets too. 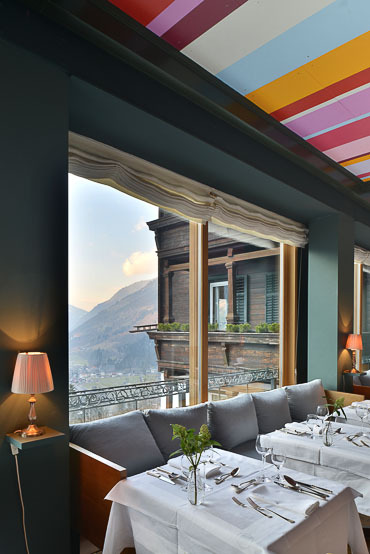 Via Culinaria: Go for high altitude eating on a sun-drenched terrace, at a height of 2,300 metres in the Alte Schmiede. 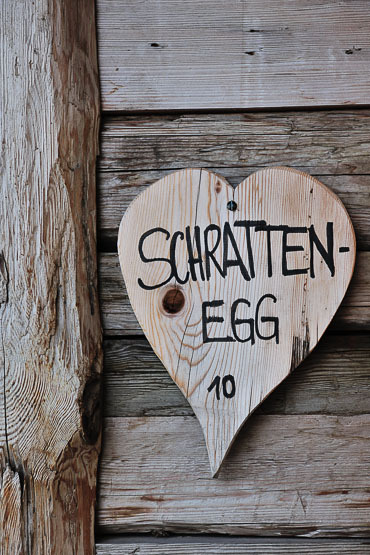 In this restaurant you’ll find Austrian classics plus lots of local produce on the menu. 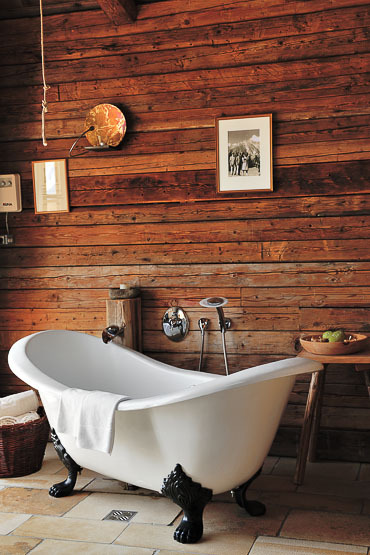 The allure: We fell in love with the intimacy and tranquillity of the chalets. 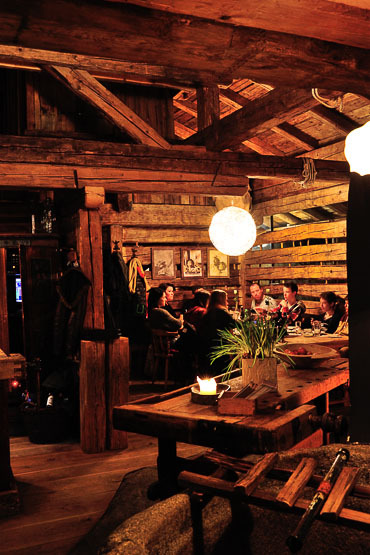 You can hide away from the world but still have the option to walk for 10 minutes (or hop on the golf cart) down the mountain in the evening to enjoy dinner in one of Priesteregg’s vibrant and cosy restaurants. 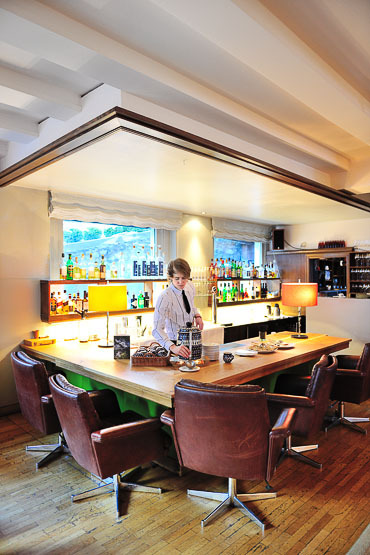 There is the old and Stube-like Huwi’s Alm or the newer and more airy Restaurant Brugg with a fabulous terrace towards the valley. HOTEL WIESERGUT From 230 euro per night for a double room. Hotel Wiesergut is a two-hour drive from Salzburg. THE COST OF PRIESTEREGG From 193 euro per person, per night including breakfast. The price includes extras such as the BMW ski shuttle, mountain bikes, felt slippers, daily supply of wood for the open fire in your bedroom… Children under 6 stay free. HOW TO GET TO SALZBURGERLAND – AUSTRIA To get there, take a direct flight to Vienna with a wide range of international airlines. This is great especially when you want to combine a city visit with the pure air of the Salzburgerland mountains. 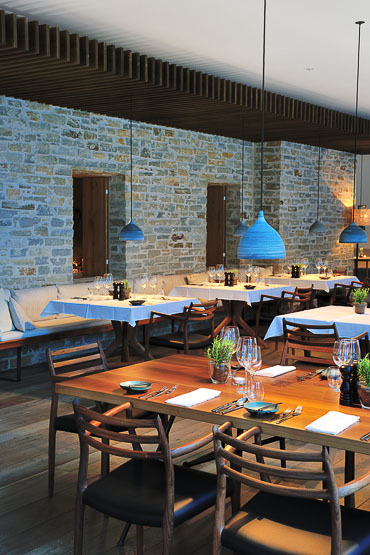 Our favourite hotel in the city is the Kempinski Palais Hansen, starting from 255 euro a night. We loved the elegant rooms and the voluptuous breakfast. Or hop on a train from Vienna to Badgastein, it will take around 4,5 hours. Or take a domestic flight from Vienna to Salzburg with Austrian Airlines (Star Alliance member) and then rent a car or take a train to for example Badgastein. The flight itself takes 50 minutes and driving from Salzburg to Badgastein is less than an hour, same for hopping on a train. Renting a car from Salzburg or Vienna, completely all-inclusive, will cost 282 euro a week with Sunny Cars.